Snaps are changing the way software installation works on Linux. 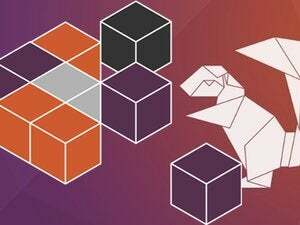 Ubuntu 16.04 LTS is out, and Mozilla is renewing its partnership with Canonical. Mozilla will soon begin offering the latest versions of Firefox directly to Ubuntu users as a Snap package, changing the way software installation has traditionally worked on Linux. Mozilla announced this in a blog post. On Windows and Mac, you get Firefox from Mozilla and continue receiving updates from Mozilla. On Linux, things are different. Your Linux distribution ships with a single version of Firefox (along with other software packages) and you often remain stuck with that version until a new version of the Linux distribution is released. This isn’t technically the way things work for Firefox on Ubuntu today, as the latest versions of Firefox are provided by Ubuntu as a security update. But they’re provided by Ubuntu, not Mozilla—Ubuntu’s developers have to compile Firefox’s source code for Ubuntu and test the resulting software, making sure it doesn’t break any other packages that depend on Firefox. Snaps help solve this problem. Snaps are self-contained, like containers, and include everything a package needs to run. They don’t tamper with the rest of your system, so nothing will break because it depends on an old version of the software you install. Snaps are also sandboxed, so there’s a big security benefit—it’ll help prevent flaws in Firefox from being exploited to attack the rest of your system. Mozilla is ready to cut out the middleman and deliver Firefox to Ubuntu users itself. “Later this year, we will offer Firefox in Snap format, making it easier to push the browser directly to users rather than relying on an intermediary to accept updates before they reach users,” reads Mozilla’s announcement. This means faster updates and a browser coming directly from Mozilla itself, as on Windows and Mac—not one that needs to be compiled, tweaked, and tested by Ubuntu’s developers. If more software developers pursue this path, it’ll be a big change for the way software is delivered on Linux. Linux distributions will provide a base system, with developers delivering their software directly to users. That’s Canonical’s goal. Mozilla’s is also crowing about the fact that Firefox has been the default browser in Ubuntu for over a decade. This wasn’t a done deal—Ubuntu’s developers were once “leaning toward” replacing Firefox with Chromium, the open-source version of Google Chrome. Firefox held on, and now it’s ready to lead the way forward.